Coincidentally, I was reading a book about Norse mythology just a few weeks back that suddenly started charging my level of excitement for the upcoming sequel of “Thor.” While I must admit that real Norse mythology is quite different from Marvel’s quick Shake ‘n Bake version, some of the older North Germanic roots that Marvel draws from are still recognizable, though highly exaggerated and frilled. The locus of the Norse tradition is depressingly grim. Geographically chained to the bleak North European landscapes that cower from the relentless battering of harsh frostbiting winters, it is no wonder these age-old stories feature long drawn-out wars, belligerent deities, hardened monsters, and battle feverish heroes who possess an un-snapping tenacity for fist pounding resilience against the larger elements that strive to suppress, ultimately building to the Ragnarök (the ultimate cataclysmic battle that ends it all). It is also from this ominous origin of darkness that I think “Thor: The Dark World” seems to unknowingly trample upon its own mangled roots. An innocent homage to its origins? Yes. But a purely intentional trespassing? I hope not. 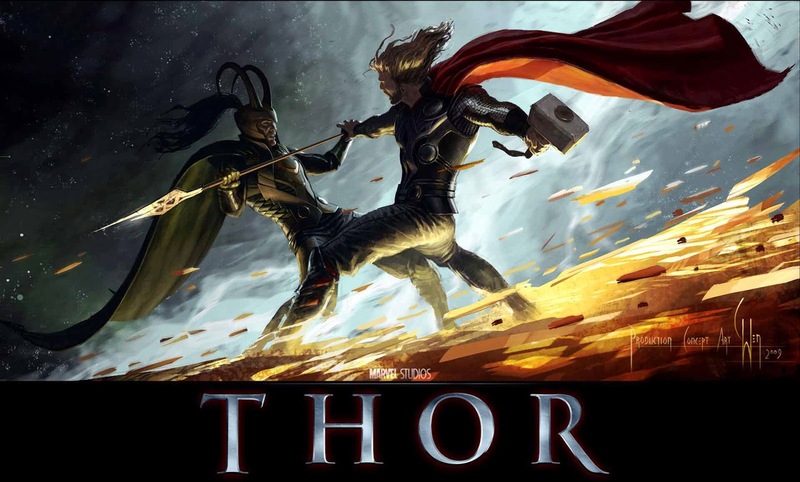 “Thor: The Dark World,” true to its title, begins in its own dark past. We are presented a world where once the “Aether” (pronounced ee-ther), an ancient amorphous source of power that fluidly turns matter into dark anti-matter, was almost harnessed for the destruction of the nine realms (Norse cosmology describes the universe as having nine worlds) by the dark elves of Svartalfeim, led by Malekith (Christopher Eccleston) whose name itself is malevolently scything. This was put an end to by King Bor (father of Odin, the Allfather). Alternatively, in present-day Midgard (where humans live), Jane Foster (Natalie Portman), the love-interest of Thor (Chris Hemsworth), of course, soon finds herself tangled inside the “The Aether.” Unfortunately, the newly powered-on Malekith is also seeking this source of eternal darkness for his second sprint at universal ruination, which further results in an unlikely yet necessary coupling of the should-hate-but-gotta-love Loki (Tom Hiddleston) who joins his burly half-brother, Thor, to battle for the survival of their cosmos—from the Yggdrasil to Asgard, and Alfheim to Niflheim. The casting is spectacularly appropriate. We see no unwanted Affleck-ian Batmans (ouch) or Toby-ish Spidermen. 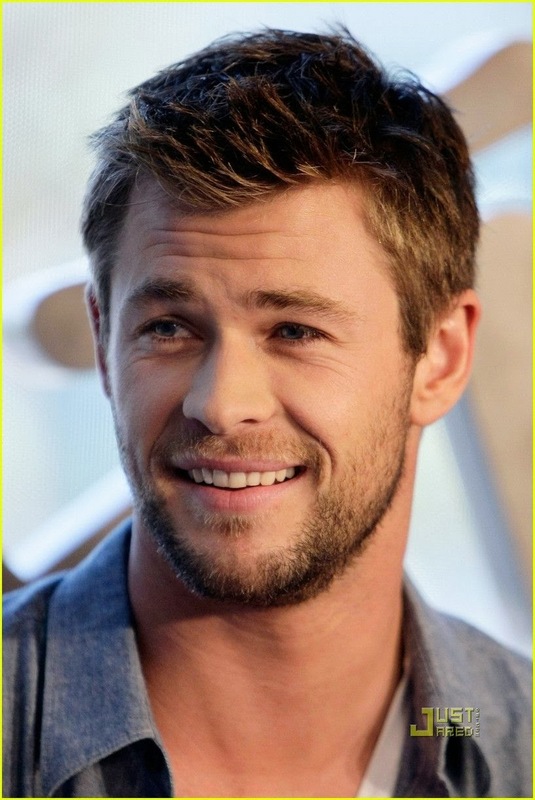 Hemsworth is perfection, flavored with the right amount of wit, muscle and accent. Harvard alumna, Natalie Portman; do we even qualify to say anything against her? Even the timed blushes in her cheeks are flawless as she effortlessly slips into her role as the quirky yet attractive astrophysicist Jane. Anthony Hopkins as Odin the Wise looks the part, yes, but ironically, as the most experienced and well-respected of the lot, comes across as displaying a half-hearted performance plagued with fatigue. Could it be that he is indeed now ageing? As ‘The Atlantic’s’ Christopher Orr writes, he “seems vaguely dyspeptic at the very thought of having to play Odin again.” Rene Russo as Thor’s mother Frigga, though, was a tastefully rewarding addition. What a nice surprise she gives us; feisty, that one. 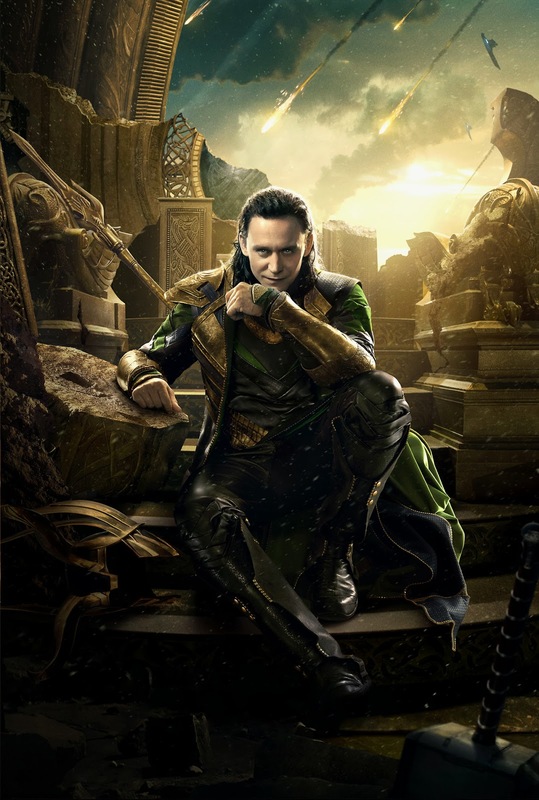 Characters might just be what save this movie, especially Hiddleston’s performance as Loki the trickster. Unlike Marvel’s always sinister Loki, the true Loki in mythology is both good and bad. “Thor: The Dark World” definitely pays due respect to Loki’s more duplicitous nature than other renditions have in the past. Arguably, Loki would be the audience’s favorite pick, given that he is the unfiltered critic and voice of the audience, never failing to hammer down punch lines left, right and center at the expense of Thor. Wit also helps salvage this film for laugh-out-loud humor is lavishly peppered all throughout. But was it overdone? I’m not sure I agree with my own opinions here, because I think it works at times, and at other times it threatens the credibility or the seriousness of the film. The constant humor has an almost meta-narrative echo that displaces the escapism. It definitely makes Thor more lovable, though. He, with his deep throated almost Old English accented speech that grates against Portman’s nasally New England accent, is positively received. But really, it is Kat Dennings (Jane’s intern) and Loki that give one another a run for their lightning rods, in terms of the film’s glowing comedic hilarities. Running through the narrative current is that same Avengers-type humor, which is ad-hoc and laughable even at the most serious life threatening scenes (like when Downey just wants a God damned shawarma in the midst of an alien invasion). We see this for example when Malekith and Thor are sliding down a building’s windows trying to kill each other while white collar workers obliviously continue with their mundane office errands; or when Thor hangs up the ton weighing Mjonir behind the door of Eric’s apartment like Aunt May would hang a knitted scarf. Costume designs were a good fit, although those elfish masks were a bit comic. Having them look more like the Orcs in Lord of the Rings would have gotten more pazazz out of it. Instead, they looked like anorexic teletubbies, especially ridiculous-looking when clumsily running after Dennings and her intern during the climax. The plot was okay. If it refrained from using Loki as a crutch for its mirage-like complexity I think it would have been more impressive. Using Loki’s abilities as a plot driver gets old by the fourth time around. I was patting myself on the back and smiling inside when I thought I knew what I was sure that others who were watching with me didn’t know. But that was also the problem, because you can’t use Loki’s powers as a crutch to move your movie forward. I mean yes it is momentarily genius, but also, no it is not. There is only so much you can do with the appearance versus reality theme. And, for the love of Stan Lee, Marvel needs to break away from the constant need for world and universal damnation! Holding a gun to the universe, threatening to blow it up every next movie, like the “Transformers” series, just won’t keep cutting it. I mean look at the Batman trilogy. You don’t see those movies always having inter-cellular plasma beams ready to vaporize all existence (not that I’m saying this happens in this movie). No, the Batman movies have micro stakes that have viewers heavily invested in them; what draws us is the writing and the complexity demanded to follow the story alongside the flawed multi-dimensional characters that make us care about them enough to be dangled willingly in their fictional realms. We know this mistake was made previously in “The Avengers,” and we see it in so many other recent Marvel concoctions, so much so that they need to start swerving away from the same end plot to something more realistic and potent. In general, the film was constrained in its own gloominess. True to my hunch another astute critic writes that the film is “coated in this dark filter and isn’t nearly as bright and vibrant as “Thor” is.” Things were also almost too convenient at times, like when Jane walks in and out through Svartalfeim and Midgard as a result of the gravitational warps. On a similar vein we were left wondering why this rendition did turn a bit Star Wars-ian with all those flying machines zipping around the Bifröst trying to zap one another. I’m not much of a Sci-Fi fan (whoops! 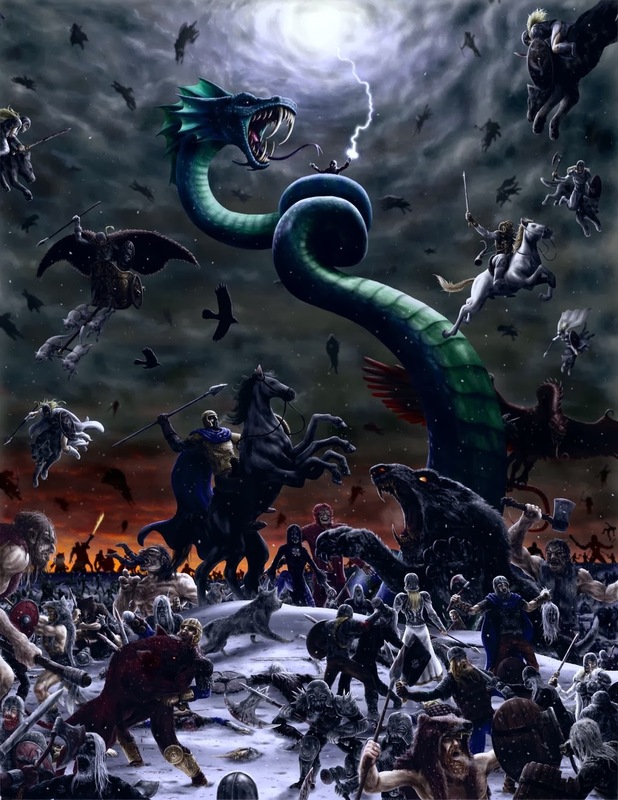 I’m sure I lost readers by the droves there) so seeing that come up in mythological comic fiction about the paganic ancestral Gods of the Vikings wasn’t as appealing. Get me some flying chariots with lightning in the front and thunder in the back instead. So what was new? In the first movie we saw more of what Thor could do with Mjonir, and I thought we would likely see newer tricks from him this time around as well, but guess not. It really seems to be a continuation of where we left off than an introduction to a new chapter. [Spoiler Alert—skip this sentence] Chris Evans, a.k.a. Captain America’s cameo from “The Winter Soldier” was a delicious treat. It really is true, like Roger Ebert’s Simon Abrams says “Thor: The Dark World” might just be a movie “whose plot is never as exciting as its characters.” And what’s wrong with that? Nothing really, if the characters are just that good. And when they are that good, they can easily help pull a movie with a fledgling plot to new heights of success. We saw this with “The Avengers,” and there’s definitely a strong trace of this here too. 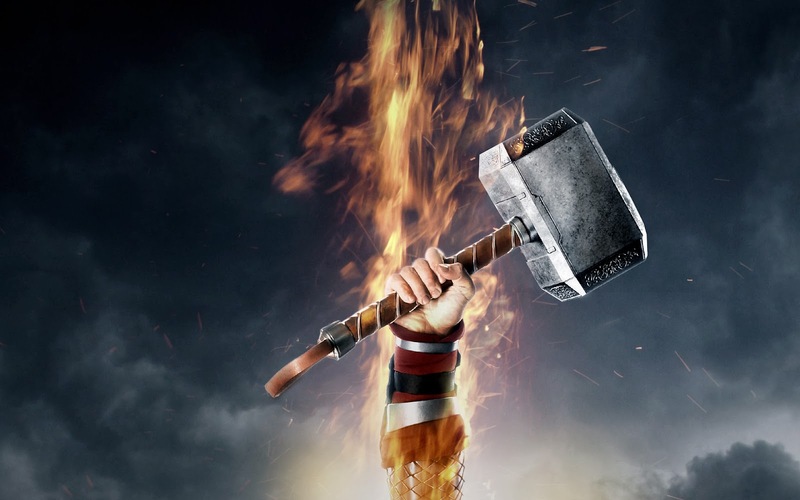 I quite frankly enjoyed “Thor: The Dark World.” Overall, a 7.6/10. Adieu.